SICAP – St Mary's A.I.D. 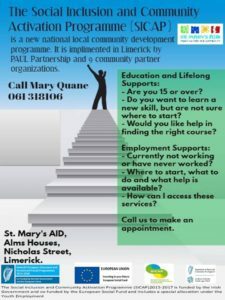 To access this service just drop in and speak to Mary Quane or all 061 318106 or email to make an appointment. The service is free.